Get Messy Season of Gifts flipthrough and a giveaway! Hello! Before we move on to Get Messy 2017, I thought I’d share a flipthrough of my Season of Gifts journal. 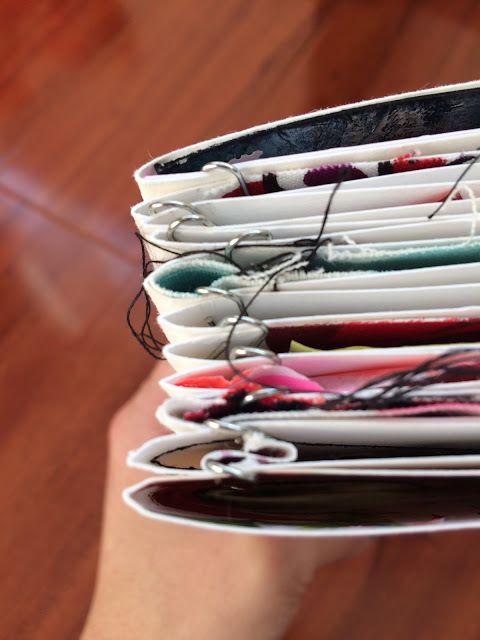 I debated about how to bind these pages that I left loose so that I could run them through my sewing machine. Finally, I decided to cheat and use paperclips to hold it together! Here’s a closer look at the “binding”! Eventually, I may glue the facing backings together to make the whole thing more solid. Maybe. I can’t wait for the new Season to start! You will love this one, I promise. In the meantime, if you are interested in Get Messy but unsure if you want to commit, then check out my Instagram for a chance to win a year long membership. Yeah, for real!